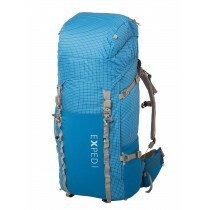 High portability. 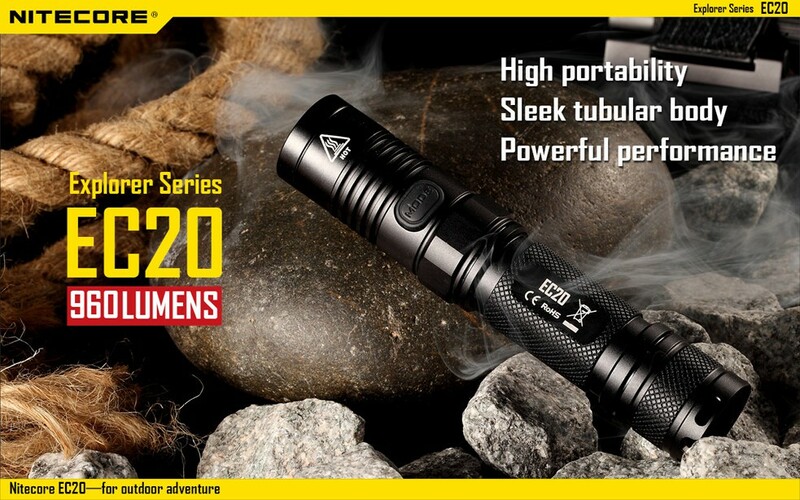 Sleek tubular body. 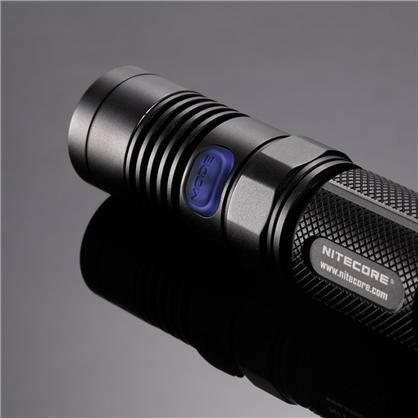 Powerful performance. 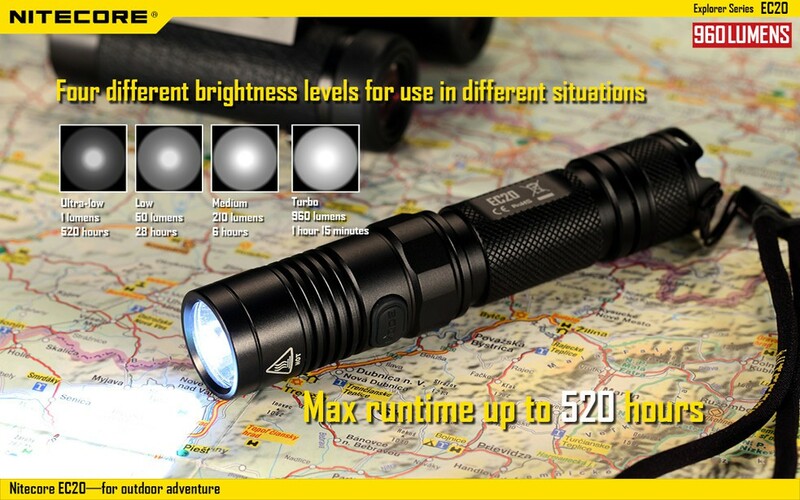 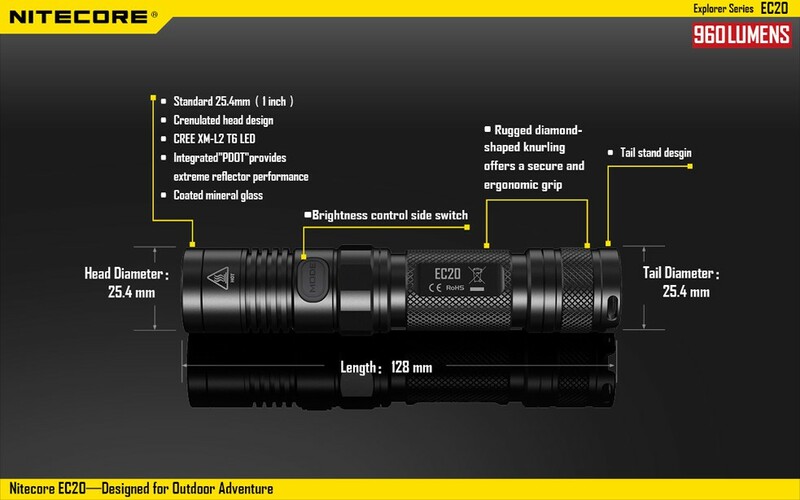 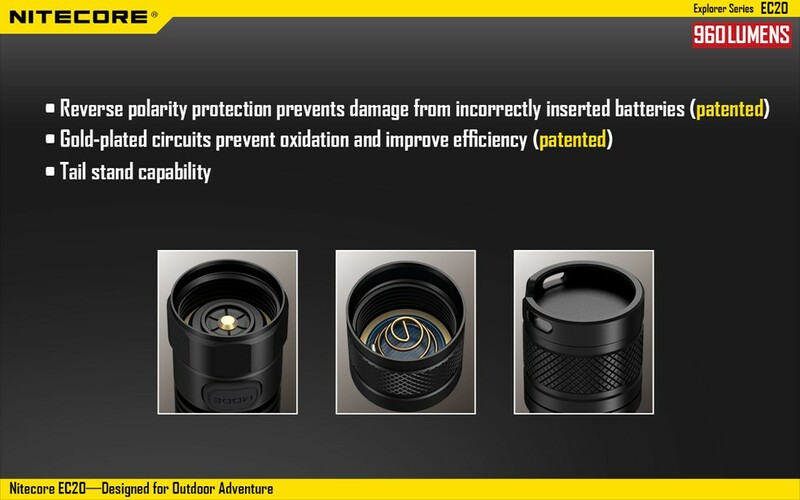 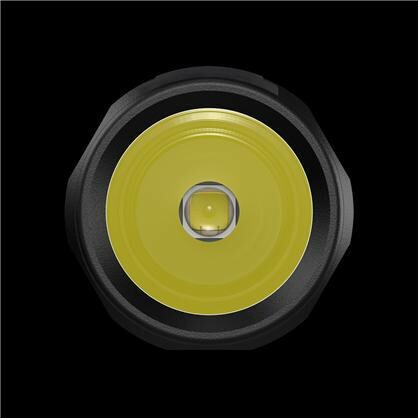 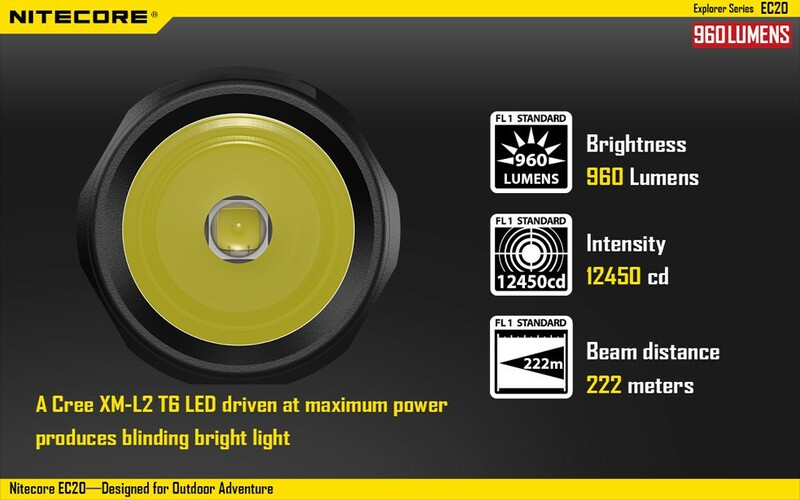 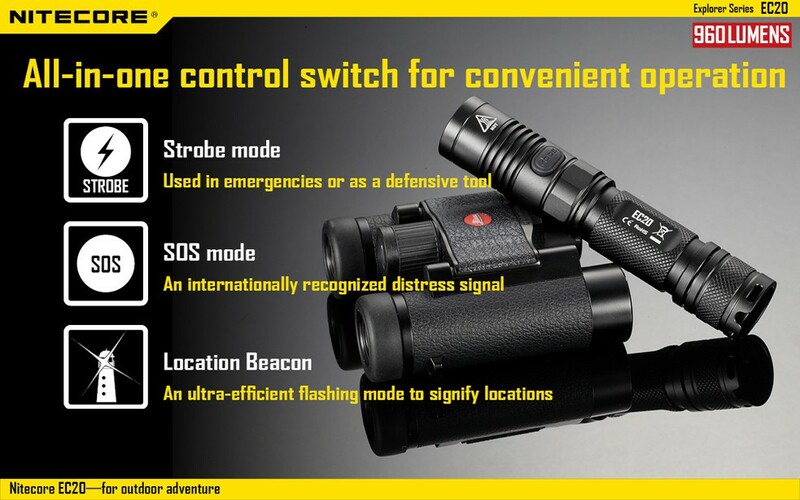 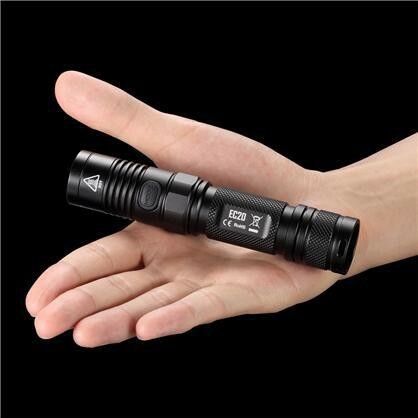 The Nitecore EC20 is a multi-mode flashlight that incorporates a premium CREE XP-L2 T6 LED, offering 960 lumens of light for 1.15 hours in high mode. 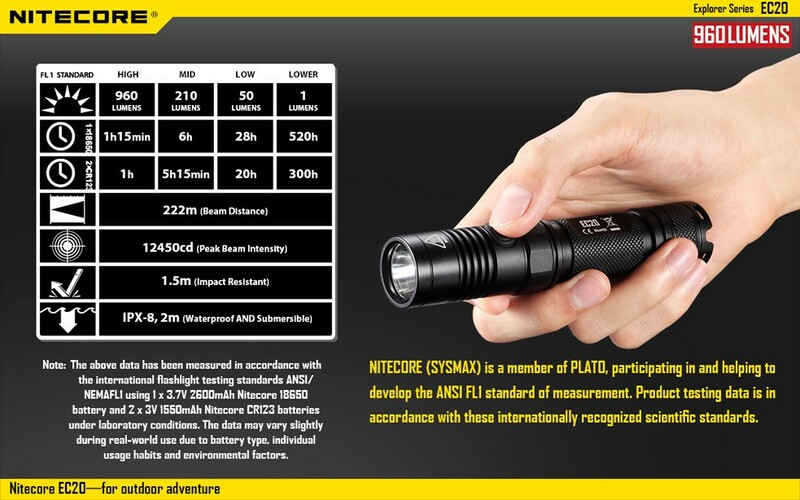 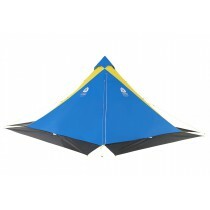 Operates on 1 x 18650 Li-ion battery or 2 x CR123 batteries and weighing only 76 grams. 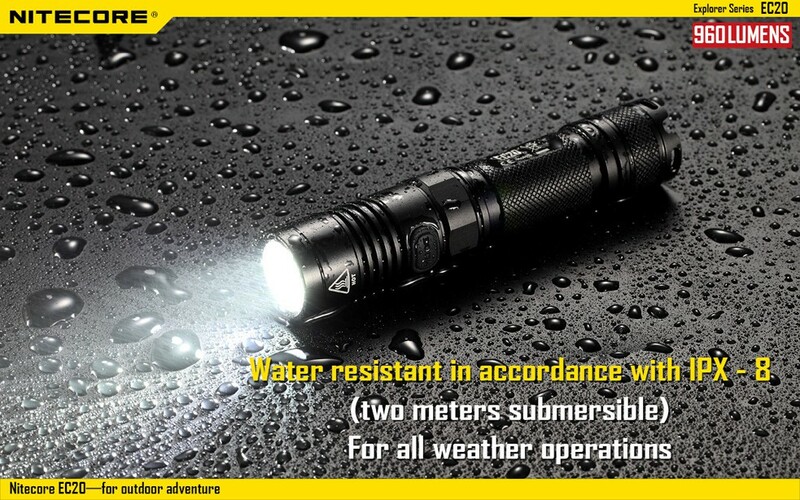 Water resistant in accordance with IPX-8 (2 meters submersible) for all weather operations. 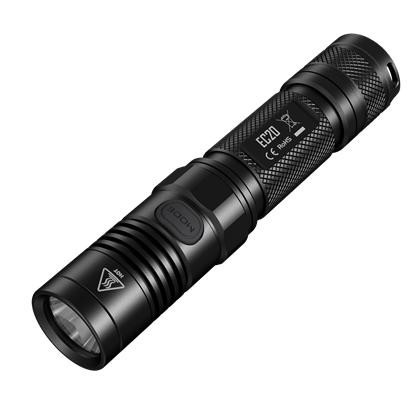 A cree XM-L2 T6 Led driven at maximum power produces blinding bright light. 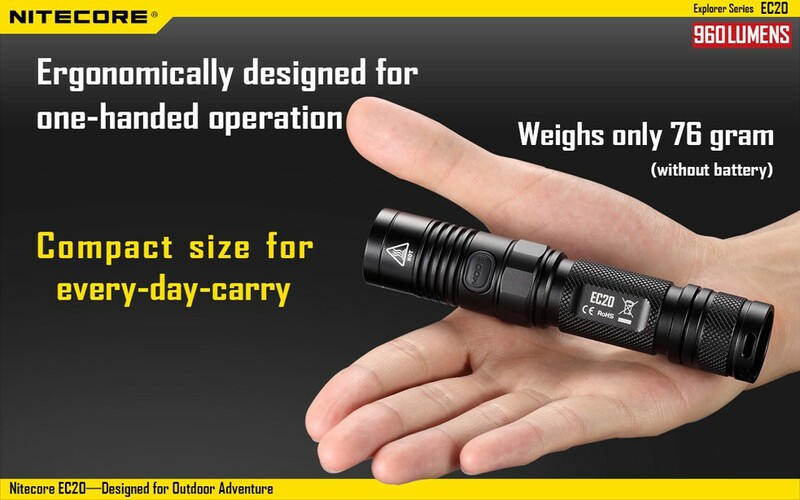 Compact size for every day carry.